Blasting into the New Year and just time to make a quick blog entry, say happy 2011 and update you on all things Poho. The only reason I sound like a broken record when it comes to JEEPERS III: CATHEDRAL, when I say it is finally going before cameras this year, is because that broken record has been played to me over and over again -- and played again for me over the Christmas holiday. The complicated task of getting JEEPERS CREEPERS III funded and shooting may finally be coming to an end, with a deal that combines the efforts of several companies , including its parent company MGM which is under new management. The express purpose of all this is getting The Creeper's third big screen flight on the runway. One of the reasons why it has taken so long, is that we have indeed held out to make sure Jeepers Threepers hits movie screens and not just video shelves or illegal download sites. Let's keep them nameless for the time being, call it superstitious, but said companies are reportedly (there's that broken record again) close to a deal that might have Trisha Jenner, her teen-age son Darry and The Creeper himself out on a new and remote stretch of Highway 9 up past Poho County (filming would be in New Mexico tentatively planned for this Spring ) for the third and most exciting installment of JC we have yet seen. Looks like I will also be moving sometime in the near future and that has caused a lot of rummaging and boxing of things over the past couple of months and I did come across some Jeepers stuff in various publications, some of which I will share with you here. It's hard to believe that this being 2011 -- puts the first JEEPERS film a decade ago. Making it's world (and record breaking) big screen debut, one week before the twin towers fell and introduced the country to a whole new, and all too real kind of horror and sadness. I like the idea that Jeepers Threepers would hit theaters on the tenth anniversary of the release of the original. Our own Creeper Jonathan Breck just sent me this poster that was shipped to him to sign. In Pakistan The Creeper is known as "The Midnight Devil". 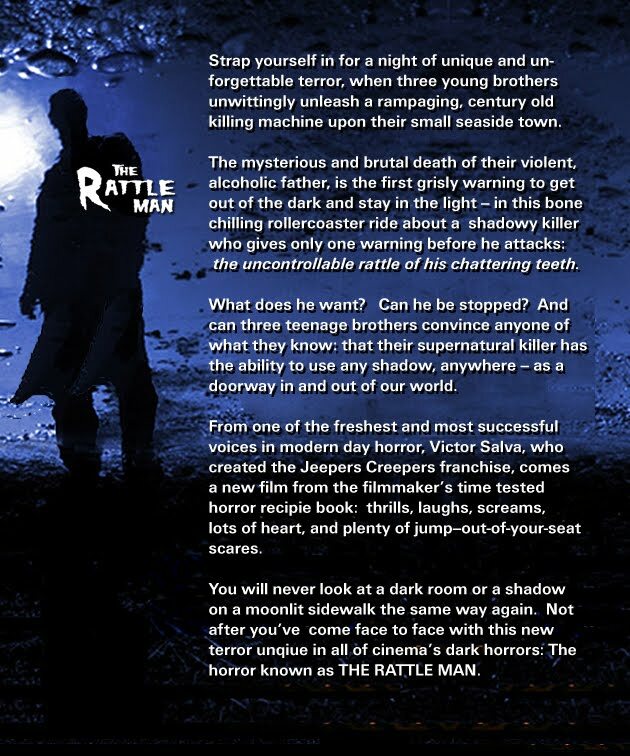 It's not just the third Jeepers film being discussed right now, for the first time, real efforts are being made to get a graphic novel/comic series going about the Creeper, one that would mirror or be based on the JEEPERS CREEPERS television series that I have been writing for the last year now. 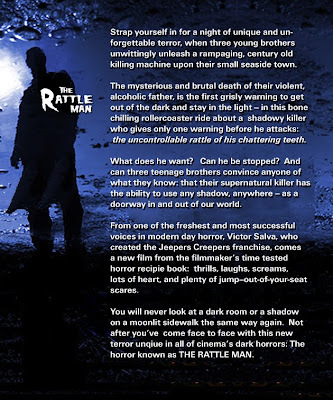 While a comic book version of JEEPERS CREEPERS has been bandied about for years, this is the first time I have actively sat down with publishers and gone to Zoetrope to ask how this might happen. The Jeepers comic idea comes from a new and exciting experience I had over the Holidays, where I wrote my very first comic book. I have written short stories, screenplays, teleplays and even tried my hand at a novel, but last month I was introduced to the format and actually penned my first twenty-two page script for an issue of a comic book. What comic book? That is a long story, and one I have been keeping from everyone, even you my blog readers, because I wanted the time to be right to put it out there into the universe. In many ways, I wish I had the JEEPERS CREEPERS films to do over again, knowing now what I didn't know then. For instance, if the JEEPERS films had been less expensive to make, there would have been more of them and they would have been easier to fund. I also wished I was able to retain the rights to my characters, sequels and merchandising, rather than selling them off to get the picture made. If you're thinking, "You don't own The Creeper idea or the Jeepers Creepers franchise, Victor? But it's your franchise! How could you be so stupid as to not retain the rights to it?" If you're thinking that, ask my buddy Clive Barker about selling the rights to Pinhead and Hellraiser in order to get that first film made -- and you'll find it is a common occurence for creators, ones without a lot of power or clout in the film biz, to have to sign their creations over to the studio to get a greenlight for the picture. In other words, I wished I had a controlling interest in my own very lucrative The Jeepers films. This is why I have quietly over the last few months, created a new horror franchise. Only one that fits into the tough financial times the industry is in. Each film of my new series, would cost about 2 million dollars a film. And for the first time in my fifteen year career, I am approaching equity investors myself, to find my financial partners for this really cool and scary franchise, and retaining a controlling interest. 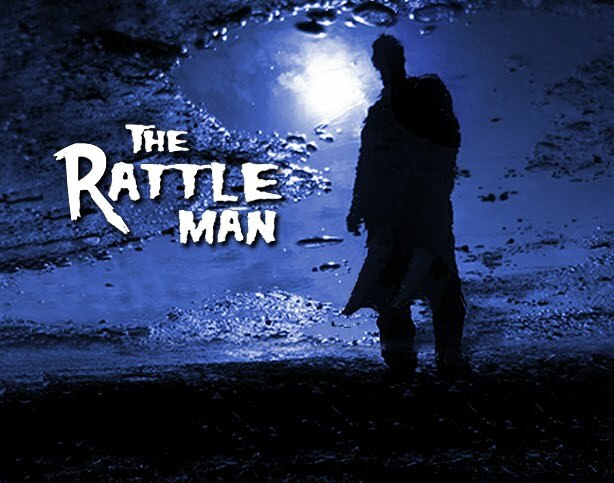 THE RATTLEMAN is kind of the first time I have decided to be the master of my own fate. There is a lot of temptation in this biz to sit and wait, or to let others do the fund-raising and the deal making. All jobs I would gladly leave to others of greater ability in those areas. The trade off is, you can go years without working, because you are dependent on your agent or manager, to make it all happen for you. Hey I am a kid who came from nothing, no money, no status, and parents who were most incapable of being supportive or sending any of my brothers and sisters to college -- or even wanted us to go. I now have helped edit two feature films for friends who are first time filmmakers and whose films, while low budget, were financed completely by equity investors (or "angel investors") who simply wrote checks and let the filmmaker, make their film. In these, the worst time to find money for indie films, I have decided to do this too. And if you take a look at my blog entry of a year ago: 01/24 "Somewhere in Poho County is Rosewood Lane" ... you'll see the project I am trying this out on. "Trying this out" is a relative term in my case. I have worked at this level of micro-budget before. In fact, CLOWNHOUSE, paid for out of Francis Coppola's own pocket and my debut into feature filmmaking, was on this very same budget level -- so in a way, it feels like old home week. Just how micro is the budget? Well that would be telling, now wouldn't it? And when you saw the film, you'd be looking for the budget restrictions instead of watching the movie. And so, like you want to hide a good twist or a good surprise in a story, so do I want to keep the budget a surprise. I am hoping if all goes well to even ask my Creeper Jonathan Breck to come in and do a day's shooting with us. A short and simple scene, where for the first time, Breck and Gina would have a scene together where he's not buried in latex and she's not screaming and recoiling in terror. I think that's about all I have time for right now. That's actually a good thing on this end. How about a short blog for a change?